How big is the size of cryptocurrencies trading in the over-the- counter market without going through crypto exchanges? According to a report released by Chain Partners Jan. 25, about 25% of total cryptocurrencies are traded in the OTC market. The report estimated the size of the crypto OTC market at $40 billion (44.86 trillion won), based on its assumption that the monthly trading volume of Korea’s top 10 exchanges would amount to about $119.8 billion (134.37 trillion won). Circle, a startup launched by Goldman Sachs, conducted $24 billion trades (26 trillion won) through OTC transactions in 36 countries last year. 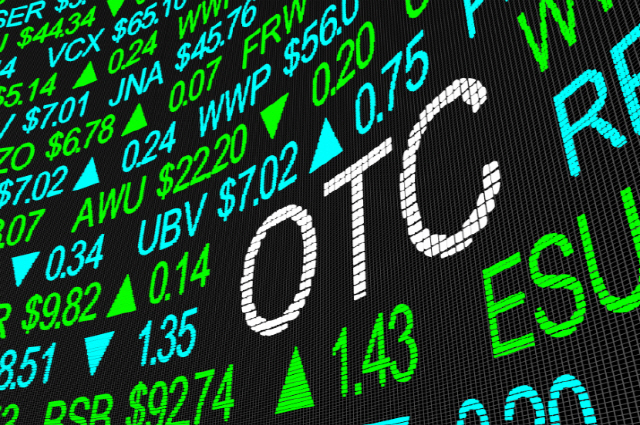 As the OTC market grows, OTC trading, which has been conducted in networks of acquaintances or Telegram chat rooms, is changing into a platform business. Coinduck unveiled its crypto OTC platform “Behind” on Dec. 3 last year and Huobi Korea, a crypto exchange active in Korea, also released its OTC platform “Huobi C2C Market” on Jan. 8. It was the first crypto OTC platform with an escrow function released in Korea. “Given that Huobi’s global OTC trading averages 1 trillion won a day, our service has already proved its marketability and stability,” said a Huobi Korea official, adding that “Huobi Korea will enable stable direct transactions between buyers and sellers through our escrow service.” “Customers using Huobi Korea’s OTC platform are diverse. The platform has been used by customers wanting to make quick deposits and withdrawals through the Korean currency regardless of transaction amounts. It is the best platform for customers who don’t want to be swayed by market volatility,” the official said. Huobi Korea currently does not impose fees on buying and selling on its platform. Of course, transactions fees will be imposed, depending on market and trading circumstances. “We have yet to decide on the date of imposing fees. We will impose fees below the level of making real users feel burdened. Huobi Korea’s OTC platform (C2C) supports purchases and sales of Bitcoin (BTC), Ethereum (ETH), Tether (USDT) and EOS. The company plans to increase the number of cryptocurrencies traded on its platform to eight by the end of this year by adding Ripple (XRP), Huobi Token (HT) and so on. One has to undergo the Know Your Customer (KYC) procedure to be able to open a premium store on the OTC platform and sell cryptocurrencies. Huobi Korea judges qualifications and grants authority to open “premium stores.” Sellers have to pay considerable amounts of deposits to Huobi Korea via Huobi Tokens but deposits are exempt at present. To help expedite easy purchases and sales, Huobi Korea makes it possible to trade through cash transfer and mobile payment and has plans to add to mobile payment methods. Buyers and sellers are able to opt for their preferred methods. The smallest sales amount is set at 15,000 won. A Huobi official in charge of operating the C2C platform said, “You can trade quickly at lower or preferred prices if you use Huobi Korea’s OTC platform,” the official said. What about troubles in transactions between individuals? Then Huobi Korea’s customer service team acts to mediate the conflict. “Individuals can be involved in a matter of trust and there are often cases in which cryptocurrencies are not paid in return for cash. There must be a reliable platform with an escrow function to prevent these problems,” a Huobi spokesman said.